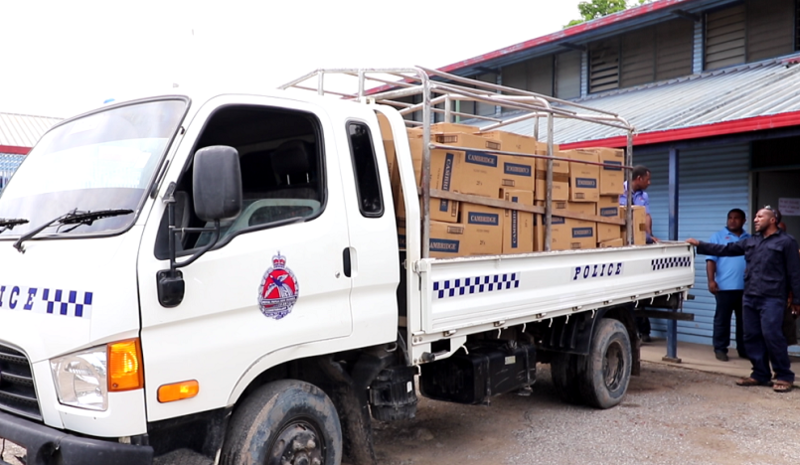 Members of the Policing the Police Task Force team have recovered some of the cigarettes, stolen on Saturday from the Choulai Wholesale outlet delivery vehicle. Police have recovered 75 of the 168 cartons of cigarettes that were stolen from the delivery truck last Saturday. 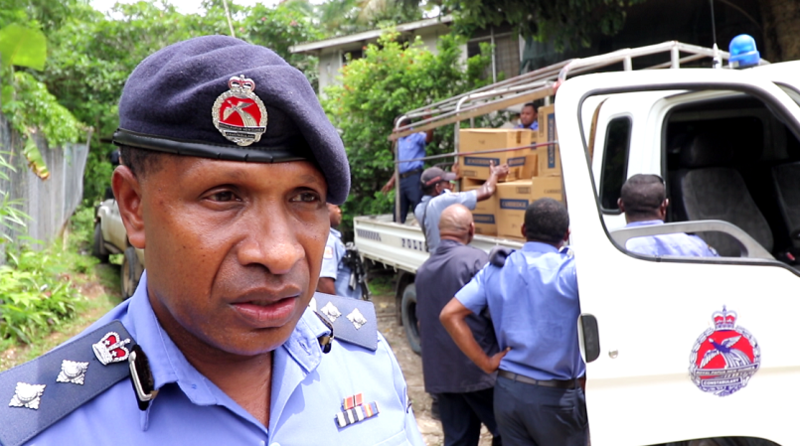 The team recovered the items at a private residence at Tokarara. A number of suspects have been brought into police custody but are yet to be formally charged, possibly for receiving stolen items. Police believe this is an inside job. NCD Metropolitian Superintendent Perou N’Dranou said the recovery of the items was due to the tireless effort of the PPTFT. He also thanked the community for the support given to police leading to the recovery. 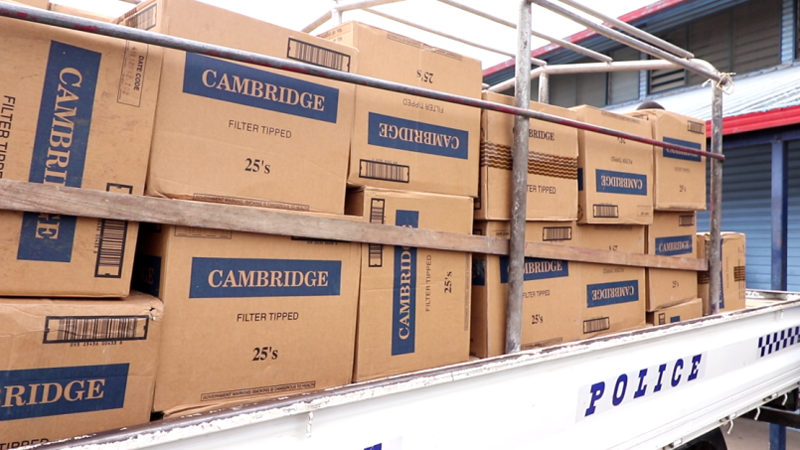 On Saturday, 100 cartons of Cambridge cigarettes, and 68 cartons of spear were taken from the delivery vehicle, before it was abandoned at Hohola Number 4. It is estimated the items are worth K1.3 million.